The service is set to include musical tributes from Stevie Wonder and Ariana Grande. 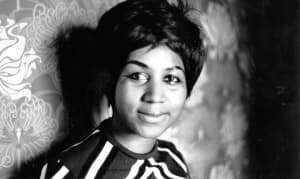 Aretha Franklin's funeral is being streamed live from Greater Grace Temple in Detroit on Friday morning. The service is expected to last over 5 hours and will include performances from Ariana Grande, Stevie Wonder, Chaka Khan, and Jennifer Hudson among others. The legendary singer died of pancreatic cancer at age 76 earlier this month. Former President Bill Clinton, Smokey Robinson, Tyler Perry, Rev. Jesse Jackson, and Clive Davis are among those who will speak. The service will begin at 10:00 a.m. ET. Franklin is being laid to rest three days after her memorial, where she laid in repose at the Charles H Wright Museum of African American History in Detroit. Thousands of fans visited to say goodbye over the space of two days.